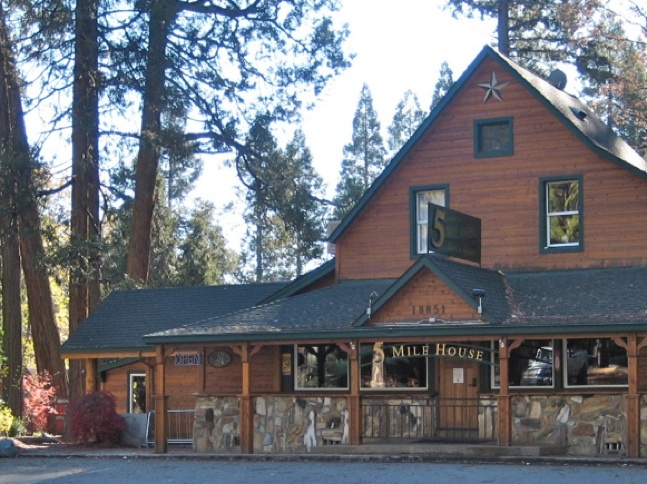 Ol’ Republic Brewery is in escrow to buy the historic Old Five Mile House five miles east of Nevada City on Hwy. 20, Sierra FoodWineArt magazine has learned. 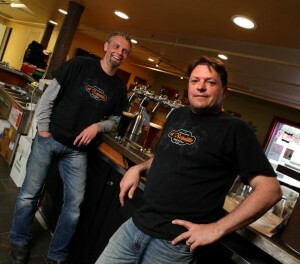 The ol’ Republic Roadhouse & Brewery would mark another milestone in the stellar growth of this popular, award-winning brewery, which celebrated its fifth anniversary in March. This is the latest example of the boom in the foothills’ craft beer business, which includes Three Forks Bakery & Brewing Co. in Nevada City and two new breweries that are in the works in Grass Valley: Grass Valley Brewing Co. and 1849 Brewing Co. Others include Knee Deep Brewing Co. and Auburn Alehouse in Auburn, as well as pubs such as Matteo’s Public and Jernigan’s in Nevada City. 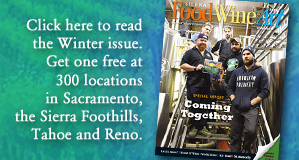 Western Nevada County also is home to craft beer veterans such as Tom McCormick, executive director of the California Craft Beer Association, and Tom Dalldorf, publisher of Celebrator Beer News. This week we were asked about rumors of ol’ Republic buying Old Five Mile House from a few locals on our magazine’s Facebook page. All of them were excited about the prospects. We met with founders-brewers-owners Jim Harte and Simon Olney at the brewery today, and they confirmed the plans in an interview, standing among bags of German brewing malt that were piled high in front of us. “The rumors are true,” Jim said cheerfully, adding that the existing taproom in Nevada City would remain open. He and Simon cautioned, however, that the sale of the Old Five Mile House building on Hwy. 20 is not yet complete. We appreciate the caution, but remain optimistic the brewery can complete its latest expansion, based on our knowledge of the deal, and the will of the principals and real-estate brokers. Ol’ Republic is being represented by Lance Amaral, a local business legend who is the brewery’s landlord in the Seven Hills business district in Nevada City. The owner of Old Five Mile House is represented by Jon Blinder of Coldwell Banker Grass Roots Realty. Both are pros who are motivated to close such a high-profile local deal, along with the principals. Citing a longstanding policy, Jon would not comment, except to confirm the Old Five Mile House was in escrow. We appreciated that, and contacted Jim and Simon directly. The 5,500-square-foot ground floor restaurant and kitchen, with an additional upstairs apartment and storage area for a total of 7,300-square feet, has been listed for $739,000. The indoor area seats up to 145 people, and the patio can seat 90 more. The building, originally built in 1890 before additions, is located at the corner of Hwy. 20 and Scotts Flat Road. It had been the popular Old Five Mile House under the late Robert Smith, an enterprising restaurateur who leased the space. Robert, whom we miss, relied on a motto of “roadhouse food from around the world,” offering monthly specials from different countries. We are glad to see the likelihood of the Old Five Mile House reopening as a brewpub, along with the Stone House opening as a restaurant and event center — another local historic building that has been vacant. If the deal goes through, ol’ Republic hopes to open a brewpub at the Old Five Mile House at 18851 State Highway 20 in late summer, according to Jim and Simon. Plans call for a “pilot” brewery (producing small batches), a beer garden, bocce ball court, a children’s playground, a meeting place for beer club members, and a restaurant. Jim and Simon have been working with county inspectors, whom they praised for being helpful. Ol’ Republic has tapped a chef and a baker with impressive credentials at restaurants such as the Hog’s Apothecary, a popular American-style beer hall in Oakland, and Thomas Keller’s French Laundry in Yountville. An imaginative menu is in the works. 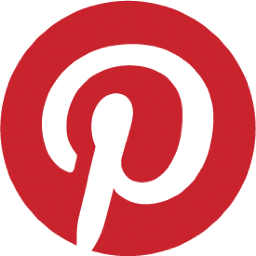 Items being discussed include homemade pizza from a top-of-the-line pizza oven, snacks such as homemade Bavarian pretzels, steamed mussels, burgers, wings, mac ‘n’ cheese, homemade sausages, seasonal barbecue, and fresh salads — all with culinary flair. The proposed prices are reasonable. The dishes will be made from scratch using fresh local ingredients from local farms whenever possible. Beer pairings are recommended, such as a proposed “burger with bacon jam, lettuce, onion and provolone” paired with “Celtic Red,” or a tomato sauce pizza with “Sierra Lightening.” Creative homemade desserts, including barley malt ice cream, also are planned. A take-out menu also is in the works, geared toward picnicking and camping in the surrounding area, including Scotts Flat Lake. The area has a new mountain bike path too. All told, we find this to be a sound business plan, well suited for the historic building on Hwy. 20, which also benefits from ski and summer recreation traffic to and from Truckee-Tahoe. Jim also has extensive restaurant experience. We’ve written regularly about ol’ Republic in our magazine and were the first to report that the brewery would open in March 2011, and then that it would quadruple production in May 2013. Now it offers beer on tap, in bottles, and in cans throughout Northern California. The brewery also offers popular growlers “to go.” Its honors include a prestigious “Best of Show” award at the State Fair in 2016. The brewery was our magazine’s cover story in Fall 2014.